NPR reports on an agreement by New York state to prohibit the use of solitary confinement for juveniles in response to a lawsuit by the ACLU. As many as 4,000 inmates have been put in solitary confinement — aka “segregation,” “prolonged isolation,” or being “in the box” — for 20-22 hours at a time, often for minor prison infractions. While in the box, they are fed through a slot, and get no exercise or sunshine. 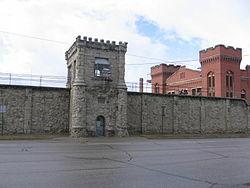 The agreement bans its use as punishment for juveniles under 18 — although they may still be held alone, within guidelines limiting cell time and allowing access to exercise and programs outside their cells; provides alternatives for disabled individuals; and limits its use for pregnant women to extreme cases. 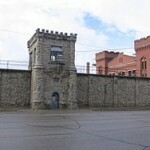 Solitary will still be available for use with other inmates and in other circumstances. The agreement also imposes record-keeping and reporting requirements on the state prison system. The report says change is happening across the country, in part due to research showing that solitary often makes inmates sick, increases the risk of suicide, and can make inmates more dangerous after their release. There have been reports of inmates across the country held in solitary for years. Here’s a horrifying first-hand account from a man first held in solitary at age 6, and repeatedly as a teenager; more about the problem from the NY ACLU; and an account of the settlement from the ABA Journal. These two updates from NPR report on the costs of solitary and testimony at a Senate hearing considering changes in the state and federal systems. Senators heard from a man who spent 15 years in solitary, on death row, before his exoneration, discussing the emotional effect and other issues. Interesting statistic: solitary costs 3 times as much as general confinement. I’m glad to see a larger conversation in our society about the balance: when is solitary an appropriate “tool” and when is its use actually abuse. This entry was posted in writing about legal issues and tagged juveniles, New York, solitary confinement by Leslie Budewitz. Bookmark the permalink. I find the idea of solitary absolutely horrifying. For anyone. I have no idea of the best way to handle incorrigible and violent prisoners, but there has to be something more humane. For kids it is more difficult since they have not developed a way to deal with their own feeling about it. Suicide may seem the only way out. The children’s stories are heart-breaking, and the long-term and social cost devastating. Thanks for the comment, KB. But there has to be a feasible alternative. What about the inmate who abuses or attacks other inmates? How about the inmate who is the target of gang retailiation and needs protective custody? The very young or immature inmate who is victimized by others. Or the old, the sick, the feeble? We need less handwringing and more proactive solutions. No question that isolation or segregation are still useful tools. As I understand it, the NY agreement recognizes that, as well as the occasional need for protective custody — in a humane environment.